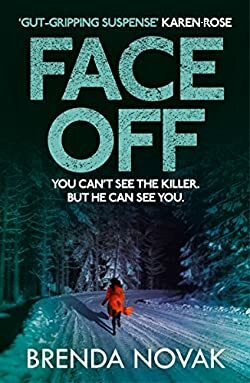 Reading the Brenda Novak books in order is part of reading her several romantic suspense series, including the Stillwater Trilogy, the Last Stand series, the Bulletproof trilogy and the Evelyn Talbot Chronicles, among others. Brenda Novak is one of my favorite American authors of romantic suspense novels. She is also popular for her historical and contemporary romances with many readers. Here are the Brenda Novak books in order for her romantic suspense series and her romantic suspense standalone novels. As the other types of romances are not within the scope of Mystery Sequels, they are not listed here. Brenda Novak was born in 1964 in Vernal, Utah, and at the age of 10, she moved with her family to Arizona. When Brenda was 8 years old, her mother was diagnosed with multiple sclerosis (MS); however, despite her severe illness, she was active in the community as a member of the Chandler City Council for several years after. At the age of 20, Brenda Novak left her studies at Brigham Young University so that she could get married and start a family. She found a job in commercial real estate and later on became a loan officer. 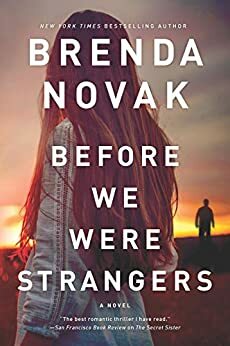 The way Brenda Novak became a novelist is one of those famous stories that is being told by people every chance they get. One day when she went home from work, she found her children’s babysitter drugging her youngest son with cough syrup and Tylenol so he will go to sleep. The shock of seeing this prompted Brenda to leave her day job as a loan officer and stay home to take care of her family. While reading a romance novel at home, she had the idea of writing books as well. However, it took her five years to learn the craft and art of writing. It was a challenging time for her family since they not only lost their family business but also their home; however, once she finally wrote and sold her first romance novel, Of Noble Birth, in 1999, her luck finally took a turn for the better. Brenda Novak knew she could make it in the competitive world of book authors. Brenda Novak is currently living with her family (husband and five children) in Sacramento, where she writes her next novel and helps the cause of diabetes research by raising money for Juvenile Diabetes Research. Her youngest son, Tad, has diabetes, so Brenda is hoping to help him and the entire cause by donating and raising money to the Foundation. 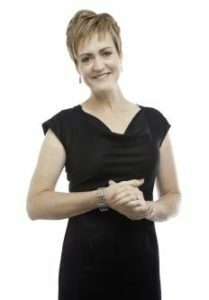 Several of her books either won or entered contests like the National Reader’s Choice, the Award of Excellence, the Bookseller’s Best, the Beacon Award for Published Authors, and the Write Touch. The Brenda Novak book list for her romantic suspense series that are still ongoing today includes the Evelyn Talbot Chronicles and Fairham Island. The Silver Springs series, while it’s not romantic suspense, is included here because it is a new series that was started in 2017. The Evelyn Talbot Chronicles feature Evelyn, a criminal psychologist who set shop in a small Alaskan town. She started the Hanover House, a facility that houses hardened and extremely dangerous criminals, psychopaths who should be locked forever away. Evelyn wants to learn their secret, to find out how their mind is working. After all, as a 16-year-old girl she was also attacked by her boyfriend and left for dead, so she knows all about serial killers and sociopaths. Soon after she began Hanover House, she meets Sergeant Amarok who is highly displeased with her being there. Not exactly her, but all the convicts being so close to his town. Over time, the two get close and start a relationship. Fairham Island is another newer Brenda Novak series, one which features Maisey Lazarow who, after many years, reluctantly returns to her home island, Fairham, after a heavy divorce. Once there, she meets her high school fling, Rafe Romero, who still makes her heart beat even after all these years. But Romero is nowhere near the guy she knew back in the day. In the second book of the series, Maisey’s brother, Keith, receives a phone call that his mother, Josephine Lazarow, died and he has to come home. to bring the estate to order and also find out how the mother died and what are the secrets she left behind. Keith’s love interest was Nancy Dellinger, and she is still there waiting for him. This second series is just as good as the previous one, however, Fairham Island has some gothic undertone which I really enjoyed (I always loved gothic stories). Brenda got her idea for the first book, The Secret Sister while watching an episode of Dateline, where a brother and sister got together after several years to indulge in recollecting their early years together when they remembered playing with another child who might or might not have been a sibling. The more they investigated, the more shocking their discovery was. So, Brenda Novak had her imagination going full time and eventually plotted out the storyline for the book. Reading the books by Brenda Novak in order for her series is recommended. They each feature some main characters that are connected throughout the book, which you might miss out on if you read them out of order.